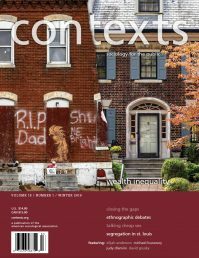 Contexts is a quarterly magazine that makes cutting-edge social research accessible to general readers. We’re the public face of sociology. 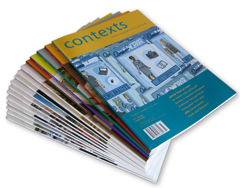 For information about Contexts, contact Senior Managing Editor Letta Page at letta@contexts.org. Information for advertisers is available here. The magazine includes feature articles, culture and book reviews, and photography, as well as analysis of the latest social science research.